VARNA STUDIOS Photo & Cinema offers contemporary and creative wedding photography and cinematography service to UK and international wedding clients. Our clients appreciate our vision, passion for photography and film making, dedication to our customers and attention to detail. Aurelijus Varna is a signature photographer, owner and creative soul behind Varna Studios. His passion for photography started eight years ago and has only grown stronger. With the technology going forward and DSLR cameras allowing to capture live moments, in 2011 cinematography became big part of Varna Studios. Both cinematography and photography of Varna Studios share the same vision, style and approach. We would be thrilled to be part of your big day and make it even more memorable! CAA-approved commercial operator of Small Unmanned Aircraft ( Drone ). Aurelijus Varna is a signature photographer and the only photographer in the team. Does it mean I can't have 2 photographers on the day? 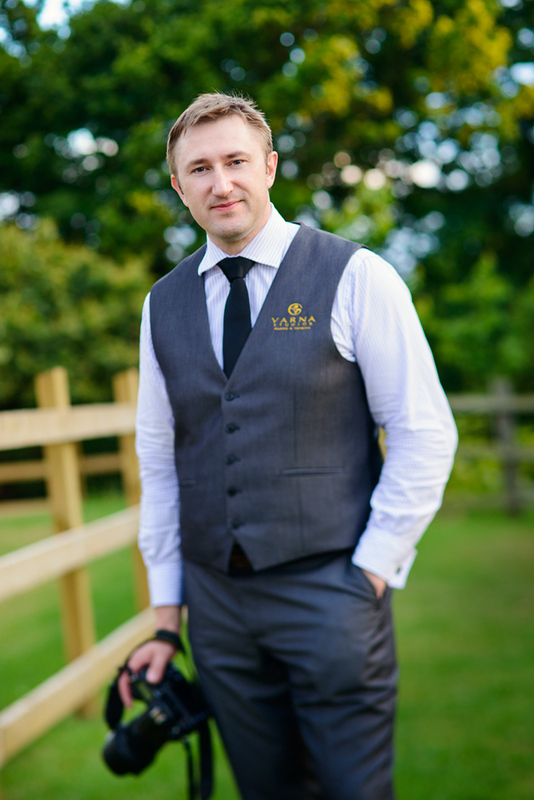 We can provide a second shooter with a similar style and professionalism for your special day when required. Do you photograph and film destination weddings? Yes we do. We love to travel and experience different cultures and wedding traditions. Can I hire your team only for photography or only for cinematography? Yes, you can hire us either for photography or cinematography only. 85% of our clients hire us for both services because they love what we create in both images and films. They also understand and value the team effort we put in. What is the difference between wedding videography and cinematography? Wedding cinematography is more artistic, creative and cinematic way of storytelling. Many clients say, that watching our films is like watching a movie:). We are a team of photographers/filmmakers who share the same vision, style and approach.